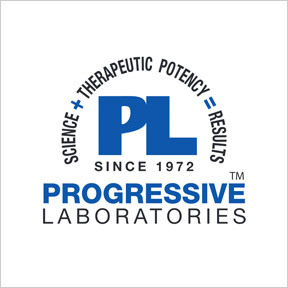 Since 1972, Progressive Laboratories™ has striven to develop science-based targeted nutraceuticals formulated to help maximize one’s health and wellness potential. Their passionate commitment to product development applies nutrition science and peer-reviewed scientific literature to produce high quality, synergistic nutrient and botanical formulations. In the creation of their top-of-the-line products, Progressive Laboratories™ utilizes quality-verified raw materials sourced from American and European suppliers. These carefully sourced raw materials undergo detailed analysis to identify and verify their proper potency and purity. Progressive Laboratories™ adheres to all current Good Manufacturing Practices (cGMPs), including quality control procedures and 3rd party NSF certification. All products are manufactured in the U.S.A in their FDA registered facility. Along with these high standards, their quality assurance and control procedures ensure purity, potency, efficacy and clinically measurable improved health outcomes. Progressive Laboratories’™ unique, effective, innovative nutraceutical solutions are available solely through licensed healthcare providers. Acidophilus D.R.™: This popular product provides 2.8 billion CFU per capsule of three strains of delayed release, acid resistant and heat tolerant lactobacillus to allow maximum delivery of organisms to the lower intestinal tract. FOS is included to aid restoration and colonization of beneficial microflora. B-12 Intrinsic Factor: This product provides vitamin B-12 and folate in highly bioavailable forms, as well as intrinsic factor for absorption support. Cardio-Flow™: This synergistic formula provides vitamins, minerals, botanicals, reduced glutathione, and a proprietary extract blend in support of blood vessel health. G/C 1000®: This product supplies vitamin C, manganese, glucosamine HCI, and chondroitin sulfate in support of healthy joint tissues and a proper inflammatory response. Legs on Edge®: This formula provides nutritional support for healthy sleeping patterns, as well as relief of minor pain and occasional leg cramping, discomfort, and the urge to move the legs while resting. Krill Ultra™: Krill Ultra™ provides omega-3 essential fatty acids in bioavailable phospholipid form with no fishy aftertaste. Eco-harvested from Antarctic krill.